Description: The early medieval library of Fulda, famous until the Humanistic period, was almost completely destroyed during the Thirty Years’ War. During the 16th century, a number of Fulda codices were brought to Switzerland to serve as sources for print editions produced in Basel. 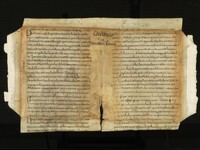 Because some of these manuscripts never made it back to Fulda, one of the largest groups of surviving Fulda manuscripts and fragments can be found in Switzerland, particularly in Basel. Moreover, several Swiss collections include products of the Fulda scriptorium that for one reason or another were never delivered to their destinations. 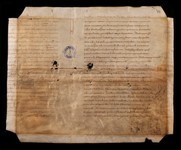 This project, a collaboration of e-codices and the Institut Bibliotheca Fuldensis, will provide digital access to the Fulda Manuscripts of Switzerland, in hopes of providing new impetus for investigating this scriptorium and library.